This interactive presentation contains the latest oil & gas production data from all 7,117 horizontal wells that started production in the Niobrara region (Colorado & Wyoming) since 2009/2010, through October. The Niobrara is on a tear this year. After two years of falling oil production, the growth rate in 2017 is the highest in the history of this region. There was a small dip in September, as Anadarko shut in a large part of its production, but October set a new record again in both oil and gas output. Initial well productivity is up significantly in 2017, as you’ll see in the “Well quality” tab. I’ve looked in this overview at the performance of new wells (2016/2017) of the top 5 operators and found that on average EOG, Noble and Devon showed the best results. In the “Well status” tab you can see the inflection point in 2016 of drilling activity, as operators ramped up drilling and completion activities again. In the last tab you can clearly see the hit that Anadarko took in September, but in October it got almost back to its high in early 2015. In this “Ultimate Recovery” overview we can see even more clearly the changes in initial well performance, and what it could mean for ultimate recoveries. Wells are grouped by the quarter in which they started production (you can change this to year or month with the ‘Show wells by’ selection). Initial peak rates are up by about 50% over the past 2 years. The 3rd tab gives an overview of the location and status of all these horizontal wells. If you select September 2017, you’ll notice the large purple blob in Weld county, representing all the shut-in wells of Anadarko during that month in connection to a deadly fire in a house in the area. Originally I planned to show an update on Louisiana this week, but I needed a bit more time for that. It should be ready next week, after which I’ll post an update on all covered US states. Interesting data. To what do you attribute the significant increase in production? Can this performance be extrapolated to other shale plays? Even with the improvement in productivity, it looks like these wells are still much smaller on an EUR basis than those in the Permian and even Eagle Ford. Is it fair to say that this is not a particularly important shale play for US supply/demand? > To what do you attribute the significant increase in production? Can this performance be extrapolated to other shale plays? Completion techniques have changed quite a bit in recent years. In Colorado, the average lateral length for a new well was 5,700 foot in 2014 and 8000 foot in 2017. I think this highly correlates with the improvements we’ve seen. Of course longer laterals will also need more proppant, so proppant volumes are up as well, and are even higher on a per-foot basis: 850 pound / foot in 2015 vs 1050 in 2017. These trends can be seen in most of the other basins as well. 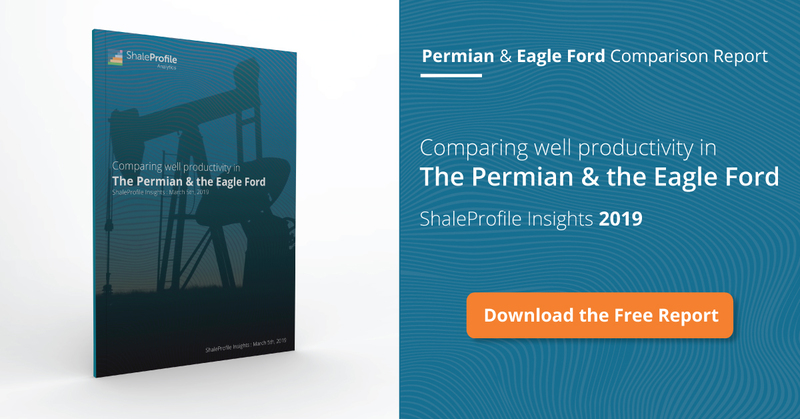 > Even with the improvement in productivity, it looks like these wells are still much smaller on an EUR basis than those in the Permian and even Eagle Ford. That is true, but because these wells are shallower, shorter and therefore cheaper, from an economic point of view they should not be compared 1 to 1. Also the gas-ratio of these wells is quite high, so that should be considered too. > Is it fair to say that this is not a particularly important shale play for US supply/demand? Based on absolute production, that may be true. However, I think that the ability to quickly ramp up (or decline) is another important property of a play, and in this regard the Niobrara region scores fairly high.